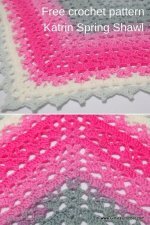 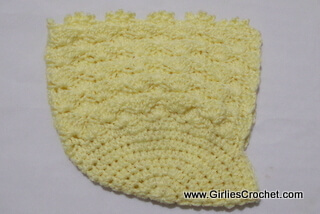 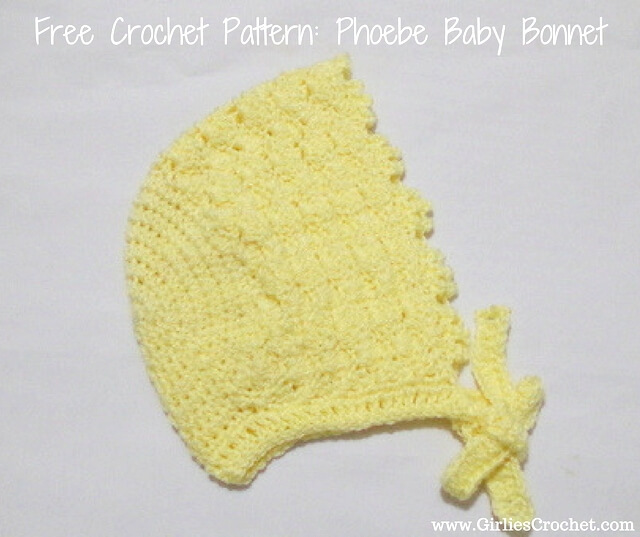 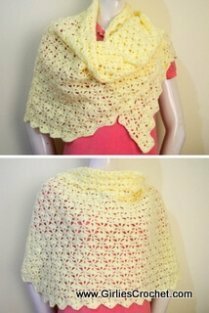 This is a free crochet pattern for the Phoebe Baby Bonnet, size for a 3-6 month old baby, with photo tutorial in each step. 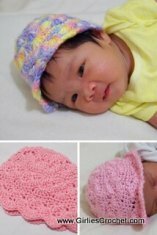 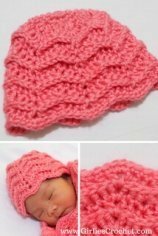 This is a pretty bonnet for our little ones to warm them enhanced at the same time with a nice design utilizing the shell stitch. 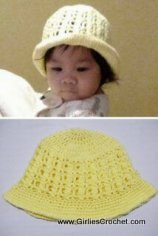 This is a design that will secure the bonnet for babies that have enhanced motor skills by using the added tie under the chin. From top (crown) to down (neck) is 8"
From center to (round 1) to outer picot (row 19) is 6"
Shell St: 5 dc in specified st. 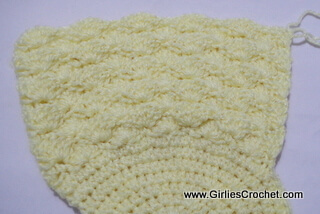 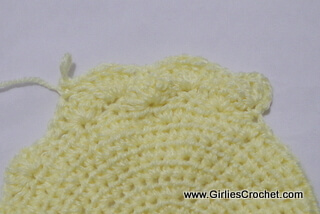 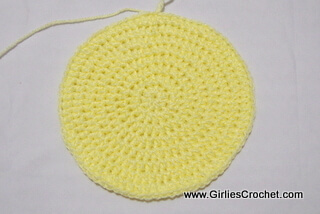 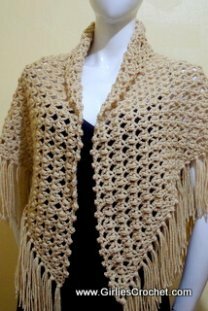 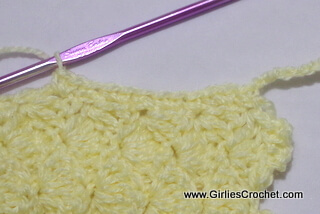 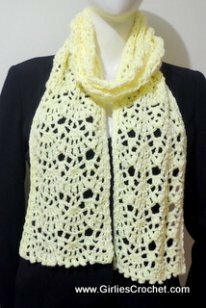 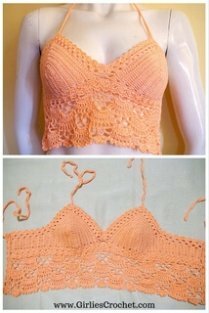 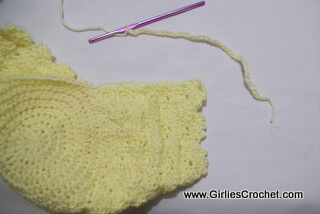 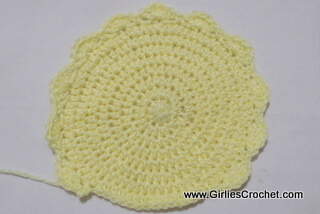 Round 1: Magic crochet, ch 1, 10 hdc in magic crochet, end w/ sl st in 1st hdc to join. 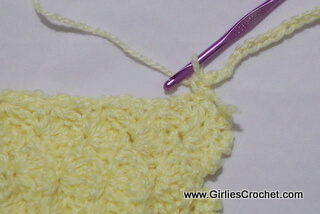 Row 11 Ch 1, sc in the same st, *sk next 2 dc, [(dc, ch 1, picot) 3 times, dc] in next sc, sk next 2 dc, sc in next dc, rep * across. 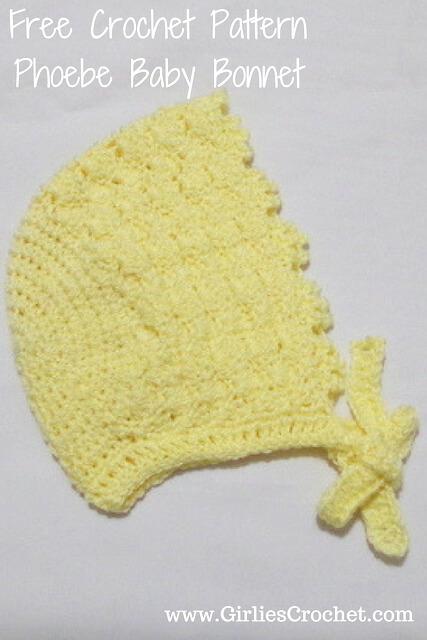 Fasten off. 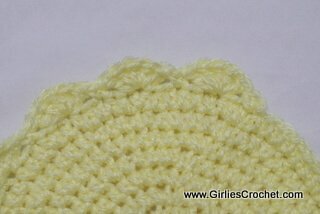 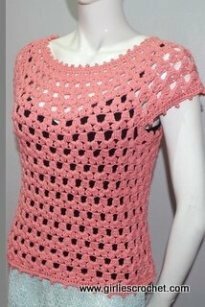 Row 1: Ch 50, attach yarn using sc in 1st st in where you cut off your yarn as shown in the photo below, *2 sc in next dc post, sc in next sc post, rep * across, ch 54. 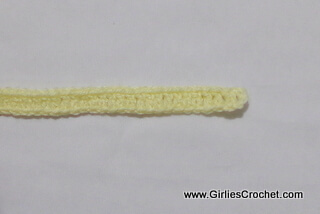 Row 2: Ch 3, turn, dc in 4th from hook, dc in each of next st across. 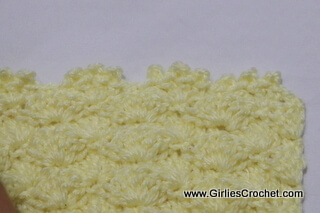 Row 3: Turn, sl st in each st across.